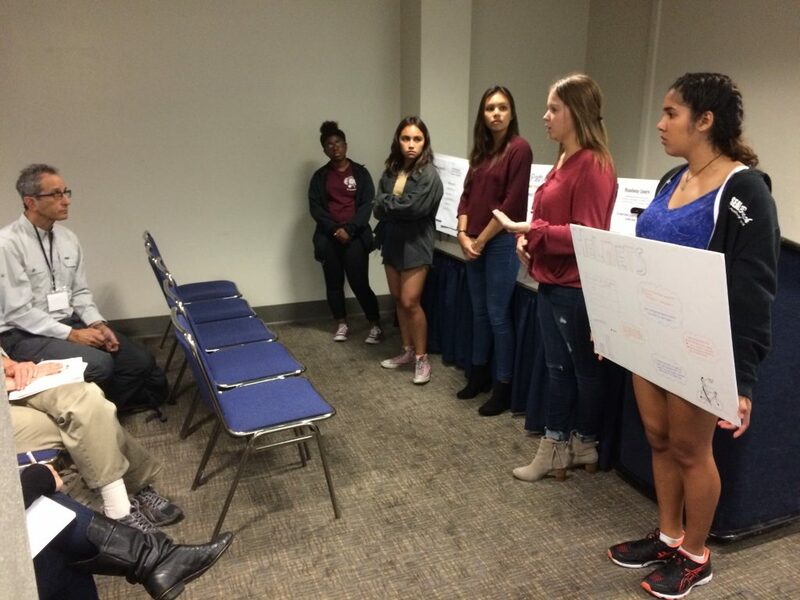 Wow, you should’ve seen Sierra, Devyn, Malia, Jordan, and Ciarra talking about bicycle research with participants at the California Bicycle Summit. We met State Senate staffers as well as staff from bicycle coalitions all across the state (the California Bicycle Coalition, the Silicon Valley Bicycle Coalition, the Fresno County Bicycle Coalition… the list goes on and on). We met pedestrian activists and Caltrans engineers. We met professors from UC Davis and from the University of San Diego. It was amazing to see the USF team talking about what they’ve studied and answering questions from an audience of experts! 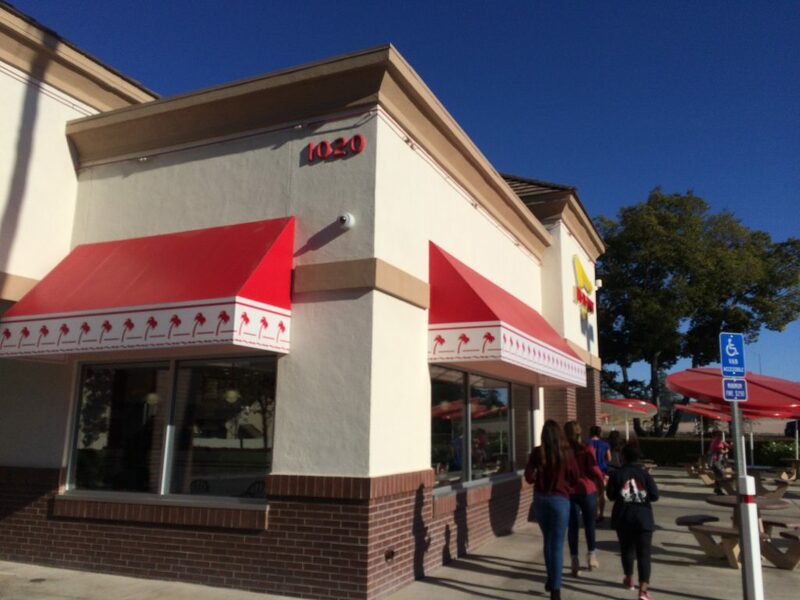 Then we stopped at In-n-Out on the way back. An In-n-Out somewhere on Hwy 80. 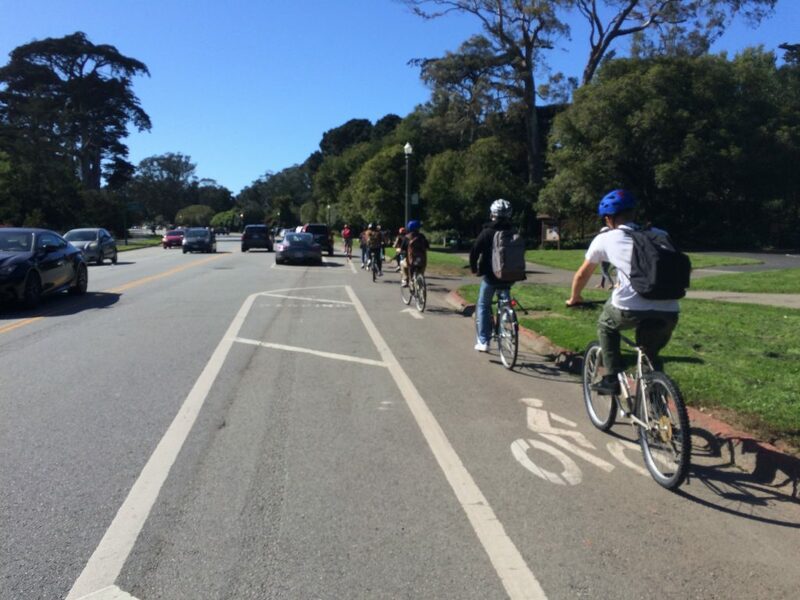 Sunny bike ride in Golden Gate Park. On Tuesday, we heard some great team presentations of evidence about the Panhandle area. Links to videos and slides below. Teams are finding great stuff — very interesting and often very thorough observations. Generally good work explaining your goals and methods. Very nice job generally with transitions, Carl Kwan style! Slides were generally very good — we’ll talk more in the future about slide design best practices and pitfalls. As I mentioned, conclusions were generally weak. Refer to this Canvas page for important advice about conclusions. Confidence: you discovered something interesting — now stand up there and own it! Class slides from 9/19 (look here for homework for 9/26). You have three main tasks to complete for Thursday: read, write, prepare. Warning: these will take longer than just a few minutes, so plan ahead & don’t do everything at the last minute. Read a selection on “Using Field Research” from Envision: Writing and Researching Arguments (Alfano and O’Brien, 2014). Post to your blog a Write-Out for your 2-minute talk (see below). Use 1 or 2 slides, as appropriate.